First the background story on how I started looking into Micro Four Thirds cameras. In April 2014, I attended a casual workshop in Styria, with a focus on macro and landscape photography. As usual, you cannot be 100% sure which subjects will appear in front of your lens. So you just bring along everything that might be useful. In my case this was a Nikon D700, 3 zoom lenses (wide, normal and tele), a macro lens, the fisheye for fun, a flash and a tripod. Together with some accessories, this is a fully loaded backpack. Estimated total weight is 13 to 14 kg. This is fine for a while, but if you move around a lot, the weight becomes a burden. At some point in the afternoon we were hiking up a hill to find a group of ibex. I was so exhausted that even with a beautiful scenery in front of me, I did not want to put down the backpack and unpack my gear because of the hassle. So on a photo workshop I lost my motivation to take pictures. Somehow ironic, don’t you think? This was the point when I decided to adopt something lighter as as my default carry-around system. There is a lot of buzz around mirrorless cameras out there, and how they will replace DSLRs in the future. If you look closer at some of the offerings like the Sony A7 series, the camera itself is indeed smaller. But the lenses you need for a full frame sensor have no weight advantage over what Nikon or Canon offer. I realize there are adapters allowing you to use your existing Nikon and other lenses on a Sony, but what is the point here? For me, that is even less convenient and desirable. A significant weight advantage can only be achieved if the sensor is smaller than full frame. If this is the case, lenses can be designed specifically for the smaller image circle. A much broader set of available excellent lenses, including fast primes. 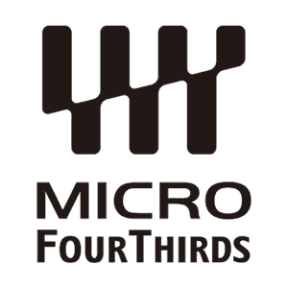 There is more than one company supporting the Micro Four Thirds standard, resulting in more available options and accessories. Sensor / in-body image stabilization: the lenses are even lighter as they do not need to have stabilization technology built in. Disclaimer: What also did influence my decision a lot were Dallas Dahm’s (former owner of Nikongear.com and now Fotozones.com) articles about his transition from Nikon to the Olympus Micro Four Thirds system. You can find them in the Switching Brand category, starting with Moving from Nikon to Olympus in November 2013. You might think ‘What does he mean?’, so let me explain. As a good Nikon user, I register my bodies, lenses and accessories with Nikon Europe. I cannot remember the total number of online registrations, and I do not even want to know the total value of all those purchases. But really, there was no advantage for me registering my equipment with Nikon, other than cheaper sensor cleaning. The only feedback I got from Nikon in 10 years was one (!) email. It pointed out that a firmware update is available for one of my bodies. That was weeks after it was announced on the Internet. Wow. That was nice, unexpected and it did exceed my expectations. Only at this point I did realize that interaction with their customers has never really been Nikon’s strength. Since I am already comparing Nikon and Olympus, one other thing I specifically like about Olympus is the fact that they publish road maps at least for their lenses. This allows me to plan and make decisions based on facts instead of rumors. I am already looking forward to the 40-150mm and the 7-14mm Pro zoom lenses. Here is a weight comparison between my D700 and my OM-D E-M1. Both are equipped with a battery grip and lenses of equivalent focal range. Please note that I said ‘equivalent focal range’, and not ‘equivalent performance’. I do realize the depth-of-field (DOF) impact of the smaller sensor, but for the type of photography I plan to use the camera for (macro, landscape, travel) I consider this as an advantage. This is a 55% weight reduction. Try to hold or carry the above combination for longer, and you will quickly notice the difference. I can fully control my E-M1 from my smartphone or my tablet using WiFi. This includes live view, focus, aperture and shutter release. No cable required. The electronic viewfinder (EVF) offers a real-time histogram and shows over- and underexposed areas. Focus peaking is something you will appreciate quickly. The camera buttons and dials are fully configurable. By fully, I mean fully. This can be overwhelming at first and needs time to think through. This is still the domain of the DLSRs with their sophisticated and mature phase detection autofocus systems. While the mirrorless cameras get closer and closer, for any wildlife photography involving unpredictable animal movement I would use my D700. Sure, bigger sensors have a clear advantage here. But not as much as you would perhaps think. I was happily using my D700 up to 4000 ISO, and I use my E-M1 up to 2000 ISO. In my experience, noise usually does not show up in prints or images downsized for the web, at least not the way you see it at 100% magnification. Yes, another advantage of full frame sensors. But with exception of wildlife, I am typically not using my lenses wide open. Having said that, the Olympus primes nicely demonstrate that you can isolate subjects even with a Micro Four Thirds camera. A lot of comments on the Internet seem to be based on the assumption that as a photographer, you have to commit to a single system. You have to stick to it and defend your choice like in a religious war. Otherwise I cannot explain the emotional comments from people who try to defend ‘their’ system, even if their logic does not make sense. I believe that you need to look at your equipment as a tool for a certain purpose. As a result, you should make your choice based on your requirements. For me, that means that for now my Nikon and my Olympus systems will coexist peacefully. The purpose of the shoot will determine which system I am going to use. Please note that on purpose I did not compare image quality of the D700 and the E-M1 – my take on this is that with pretty much any high-end camera you can buy today you should be able to produce fantastic images. As a smart photographer said: Most of the cameras you can buy today are better than most of today’s photographers… and I do not exclude myself here. The E-M1 will be my primary camera from here onward, unless there are specific reasons for using a DSLR, as stated above. I can now conveniently carry around my basic Micro Four Thirds kit in a waist bag. And even my tripod got lighter. Honestly, at this point, it it highly unlikely that I will further invest in my existing Nikon system. This might change if the mystic D400 appears. As a side note, I believe that Nikon (and Canon as well, btw) have no idea on how to react to the currently declining camera market. Thom Hogan did a nice analysis in his article What’s the Plan. One of the reasons I was disappointed with Nikon was that they never introduced a replacement for D300(s). A wildlife photography camera with a high frame rate, in a body that does not weigh a ton. But perhaps we are lucky this autumn. Two years after I have published this article, I am trying to answer the question “Is Micro Four Thirds Good Enough? A Realistic Evaluation after 2 Years.“. You might be interested to hear whether the expectations have been met and also learn about the surprising findings. Support for a premium priced product? You would think this is easy. How my initially bad Gitzo service experience took an interesting turn. ich fand Ihren Artikel über den Vergleich NIKON mit OLY sehr interessant, ich habe alles mit großem Vergnügen gelesen. Vor 1 Jahr habe ich mich nach langer Suche nach einer Kamera “für die Hosentasche” neben meiner D90 mit dem ganzen Equipment (etwas weniger als 1 t !!!) entschlossen. Da ich nichts Vergleichbares in Größe und optischer Qualität zu meiner “uralten” Olympus C-770 UZ fand, habe ich diese durch den Nachkauf einiger Akkus reaktiviert und sie läuft, und läuft, und läuft…. Für bestimmte Einsätze für Gerichtsgutachten oder wenn´s schnelle Schüsse geben muß oder einfach die Akkukapazität der C-770 nicht ausreicht, dann greife ich immer noch gerne zur D90. Meine 1. Kamera war eine Bilora Box 6×9 im Jahr 1950 mit 12 Jahren. Dann folgten mit 14 Jahren eine gebr. Baldina 24×36, später der Reihe nach 3 Exakta Gehäuse mit Objektiven 25 – 35 – 135 mm. Der Umstieg auf Nikon erfolgte mit der F3, die wie Exakta mit Wechselschacht -System ausgestattet war. Meine erste Digitalkamera war die schon erwähnte C-770 im Jahr 2004. Thank you Herbert for sharing your experience with the Olympus C-770! Your lenses are not comparable. Crop factor affects aperture too. So your MFT f/2.8 lens is equivalent to f/5.6 in full frame. 24-70 vs 12-40. You may have noticed that I wrote above: “Please note that I said ‘equivalent focal range’, and not ‘equivalent performance’. I do realize the depth-of-field (DOF) impact of the smaller sensor […]“, so thank you for the confirmation.